In front of the gorgeous Anichkov Palace built in the classical style on the Fontanka river embankment, which used to be the boundary of the city in the 18th century, there is one of the Petersburg landmarks and one of the most famous bridges in St. Petersburg - the Anichkov bridge. 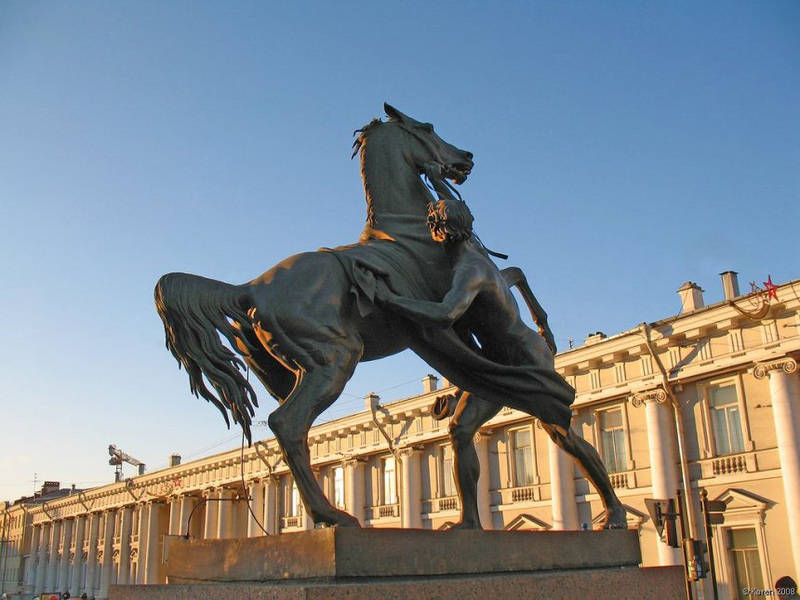 Nowadays, the Anichkov bridge, adorning the city's main thoroughfare Nevsky Prospect, is a three-bay stone structure 54,6 meters long and 37,9 meters wide, boasting the rarest architectural and decorative qualities and featuring four equestrian groups of statues "The Steed Tamers". The spectacular sculptures of a man reconciling himself to a rearing horse created by Peter Klodt have become landmarks of the city and are tenderly cherished by the citizens - during World War II the statues were removed and sheltered from German artillery in the grounds of Anichkov Palace for safety and recently they were restored.